The Nicolas Cage-starring horror sensation Mandy will make its U.S. and Canadian streaming premiere on Thursday, Nov. 29, exclusively on Shudder, AMC’s premium streaming service for thriller, suspense and horror films. In a major coup, the genre-focused streamer acquired exclusive streaming rights to the film in October. Mandy follows lumberjack Red Miller (Cage), who sets off on a killing spree to avenge the death of his titular lover (Andrea Riseborough) at the hands of Jeremiah Sand (Linus Roache), the leader of a nightmarish hippie cult and their demon-biker henchmen. The film was directed by Panos Cosmatos (Beyond the Black Rainbow), who co-wrote the script with Aaron Stewart-Ahn. 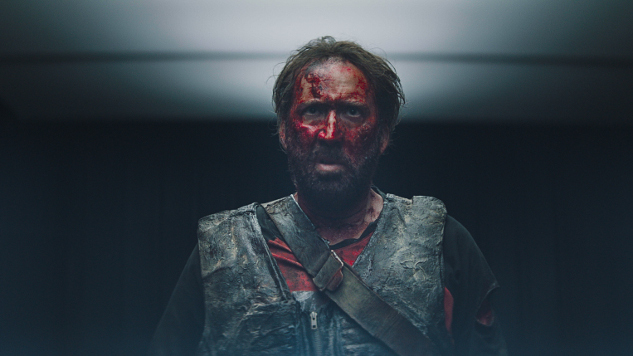 For those waiting to catch Cage’s gonzo performance in the instant cult favorite at home, in the meantime, you can check out Paste’s review of Mandy here.